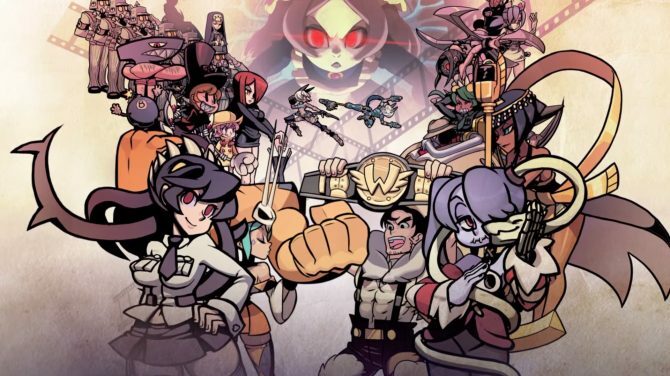 The colorfully animated fighting game, Skullgirls 2nd Encore, will be heading to the Nintendo Switch with both digital and physical copies. Lab Zero Games, formerly known as Reverge Labs, developed Skullgirls and it was released back in May of 2012, being published by Marvelous and Autumn Games. Since then, Skullgirls released on various platforms. This will be the first time for the title to enter the ring on a Nintendo system. When Skullgirls was ported to the PS4, Vita, and Xbox One, it was renamed Skullgirls 2nd Encore. The Nintendo Switch version will have all fourteen characters and is dubbed in both English and Japanese languages. Challenges, Survival, and Trials modes are also included, as well as an illustrated story mode. The Skullgirls game engine and style were modeled after Marvel vs. Capcom 2: New Age of Heroes. The brawler includes snapbacks, character assists, tag-team elements, and delayed hyper combos. One can even change the ratio of fighters by choosing between 1-3 players for battle. If you happen to pick a lone fighter instead of three, their health and attack power will be increased to balance the playing field, but will also lack any character assistance. 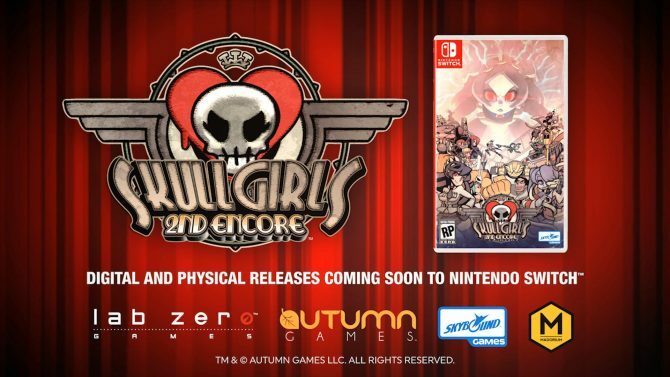 Skullgirls 2nd Encore for the Nintendo Switch will release in the near future, but there isn’t a set date on it as of yet. If you don’t have a Switch and want to give the game a try, then you can find it on PS3, PS4, PS Vita, Xbox 360, Xbox One, PC, Android, iOS, OS X, and Arcade. 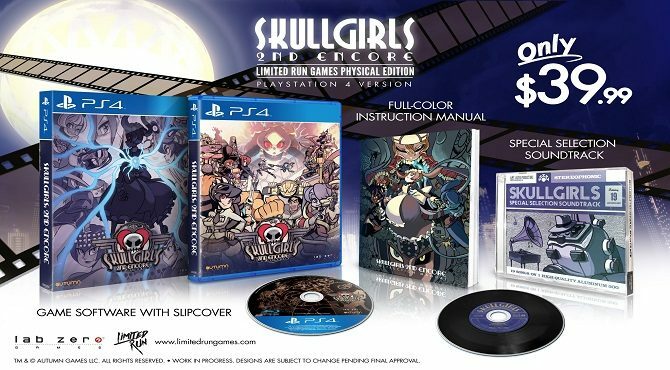 We have even more information on Skullgirls 2nd Encore in our official review of the game right here. Want to see the new trailer? Then click on that little play button down below.